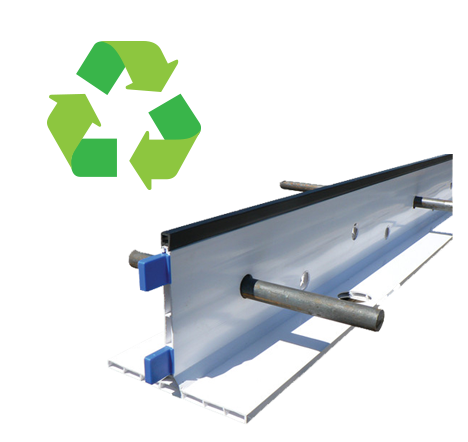 100% Recycled K-Form oers an alternative and innovative green solution. 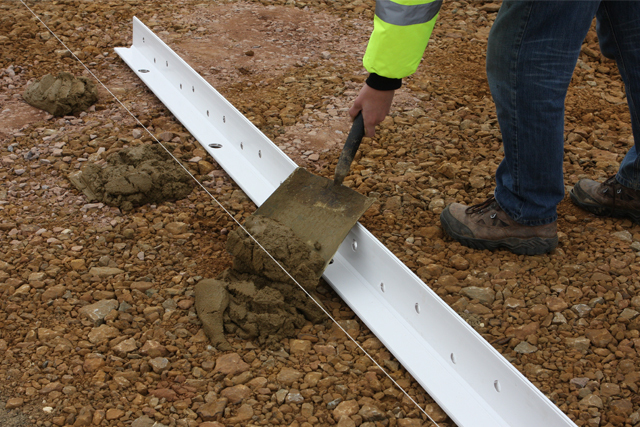 Designed for pours of 50 mm-100 mm thick concrete (when used in conjunction with K25 Riser). 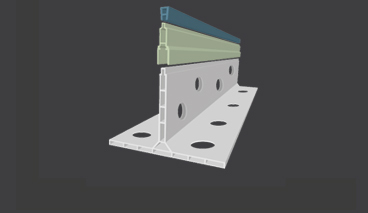 Allows increase in height of 25mm and integrates seamlessly with K-FORM Screed Rails. 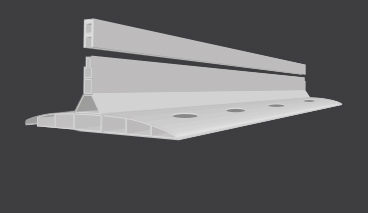 Compatible with K-FORM top strip. 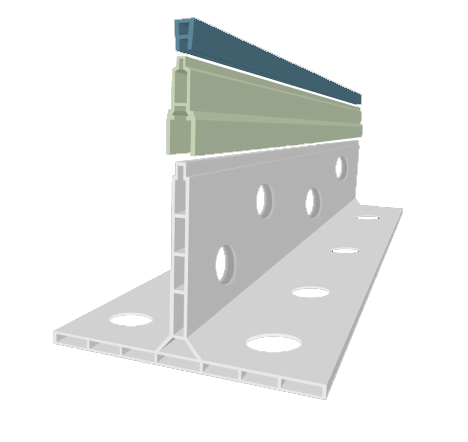 Integrates seamlessly with K-FORM K85 and K135 Screed Rails and provides a clean and tidy joint detail at intersections. 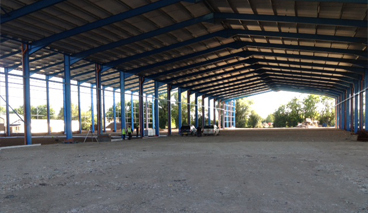 The K-Form Concrete Formwork System has been utilised by hundreds of customers with in a wide variety of projects both in the UK and globally. 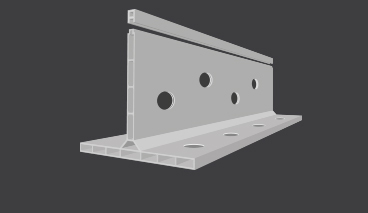 CThe K-Form Concrete Formwork System offers a revolutionary and efficient shuttering product that saves the building contractor time and money with less labour. 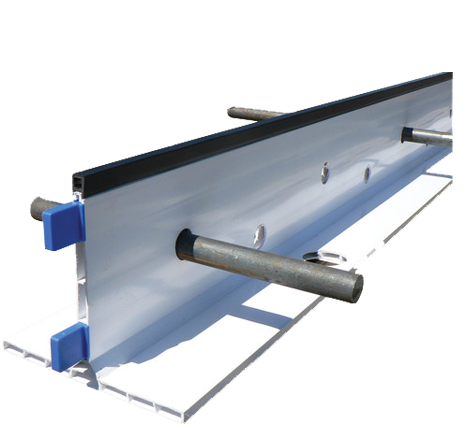 The K-Form plastic shuttering system made from uPVC is a light weight, cast in place screed rail strong enough to handle all types of mechanical screeds as well as providing control, construction and isolation joints. 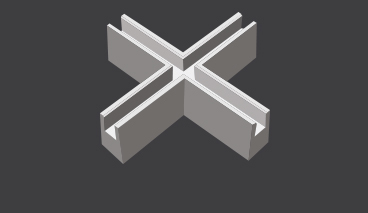 Straight quality joints every time while being versatile for all types of concrete slabs. 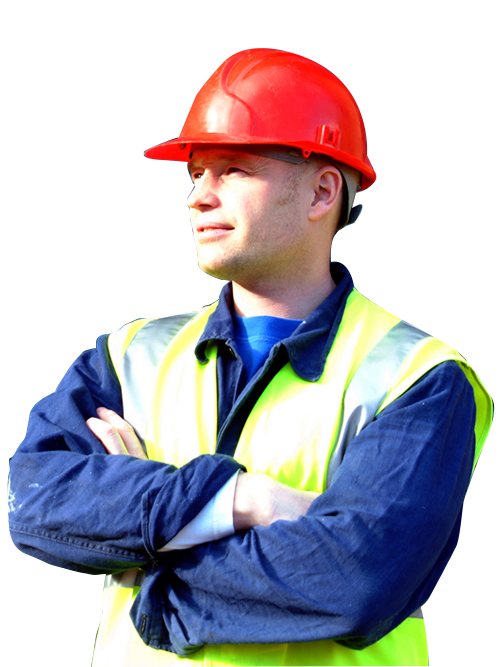 Our UPVC is sourced from landfill diverted double glazing window frames making K-Form a completely recycled product which has the same UV and temperature stability as the original frame it came from. 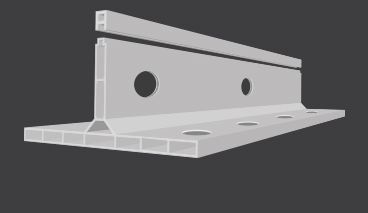 We produce the rails in three different sizes suitable for a wide range of specifcations.